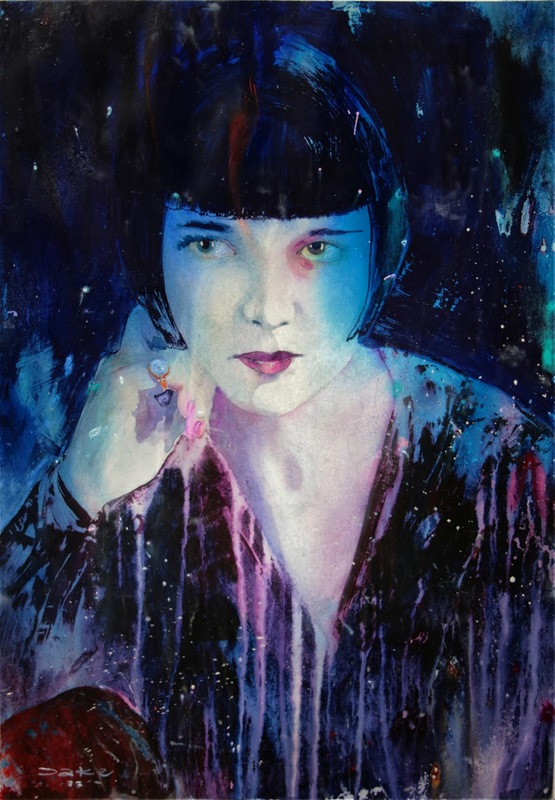 First took my eye back in the early 90s when I saw the 1926 film Pandoras Box in which Louise Brooks played the role of "Lulu". Another beauty! Is is fluid acrylic? Love the technique. beautiful series david ..this one is my favorite your AVA portrait is superb too . Thanks so much Patty and Jane. Yes fluid and regular acrylics and bees wax.